Set off in a Dutch Star Diesel Pusher Motorhome, and there's virtually no limit to where you can go. You'll thank Newmar's experienced designers and engineers for that. They've given Dutch Star all the power, performance and personality needed to put any destination within reach and make it come alive. Check out its generous interior space...its engine choices...its wealth of amenities, inside and out...its exciting Full-Paint Masterpiece Finish, a standard exterior feature...and its uncompromising construction. Dutch Star is truly a motorhome built for adventure. Just follow your heart-and enjoy. Looking for a clean, well-cared for 2005 Newmar Dutch Star DSDP 4023? This is it. Drive home in your new pre-owned vehicle with the knowledge you're fully backed by the CARFAX Buyback Guarantee. The Dutch Star DSDP 4023 is well maintained and has just 64,226mi. This low amount of miles makes this vehicle incomparable to the competition. This gently driven vehicle has been well-kept and still has the showroom shine. The entertainment package featured in this vehicle will easily provide an memorable experience every time you ride in the Newmar Dutch Star DSDP 4023 . You may ask yourself how you ever lived without an entertainment package. Treat yourself to a Newmar Dutch Star DSDP 4023 that's got it all. Nearly every option is packed into this beautiful ride. Marked by excellent quality and features with unmistakable refined leather interior that added value and class to the Newmar Dutch Star DSDP 4023 This extremely hard to find Newmar Dutch Star DSDP 4023 has made its way into our dealership. 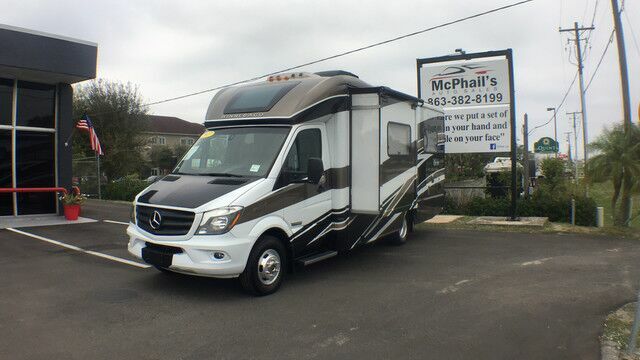 Mcphail's Auto Sales is pleased to be currently offering this 2015 Thor Citation 29TB 3 Slides Sleeps 6 with 19,277mi. Your buying risks are reduced thanks to a CARFAX BuyBack Guarantee. It's not a misprint. And the odometer isn't broken. This is a very low mileage Thor Citation. A rare find these days. If not for a few miles on the odometer you would be hard-pressed to know this 2014 Thor Citation is a pre-owned vehicle. The Thor Citation 29TB 3 Slides Sleeps 6 does not disappoint, and even comes with an Entertainment Package that will impress even the most apprehensive buyer. You'll definitely want to check out this Thor. Equipped with many extra features, this well-appointed vehicle is a treat to drive. These tires look to be recently changed. Nothing sets off the look of a vehicle like its wheels. This particular Thor Citation has an upgraded wheel package adding to its stunning appearance. Mcphail's Auto Sales is pleased to be currently offering this 2018 Ford F-150 XL with 28,170mi. This Ford includes: SHIP-THRU: ALT FUEL INNOVATIONS ENGINE: 3.5L V6 ECOBOOST V6 Cylinder Engine Gasoline Fuel Turbocharged WHEELS: 20" MACHINED-ALUMINUM Aluminum Wheels DARK EARTH GRAY, CLOTH 40/20/40 FRONT SEAT Split Bench Seat Cloth Seats OXFORD WHITE EQUIPMENT GROUP 100A BASE TRANSMISSION: ELECTRONIC 6-SPEED AUTOMATIC Transmission w/Dual Shift Mode A/T 6-Speed A/T STANDARD PAINT TIRES: P265/70R17 OWL Tires - Rear All-Terrain Tires - Front All-Terrain *Note - For third party subscriptions or services, please contact the dealer for more information. * This vehicle is loaded with great features, plus it comes with the CARFAX BuyBack Guarantee. A test drive can only tell you so much. Get all the info when you purchase a vehicle like this with a CARFAX one-owner report. This vehicle comes with 4WD for better traction on unstable surfaces, like snow and dirt to give you the edge over anything you might encounter on the road. How often was the oil changed? Were important service intervals taken care of? You'll have the records on this vehicles to know for sure. If not for a few miles on the odometer you would be hard-pressed to know this 2018 Ford F-150 is a pre-owned vehicle. Feel pleased in your decision to buy this Ford F-150 as it's still covered under the manufacturer's warranty. The brand new set of tires means that you will be able to drive off the lot without hesitation. You can drive off in the Ford F-150 XL feeling safe and confident with these new tires. The paint and body on this Ford F-150 XL looks as fresh as the day it rolled off the assembly line. Check out this gently-used 2018 Hyundai Santa Fe we recently got in. This vehicle is loaded with great features, plus it comes with the CARFAX BuyBack Guarantee. With CARFAX one owner report you can be sure that this Hyundai Santa Fe was only gently owned. In their original incarnation, SUVs were chiefly owned by folks who valued "utility" above "sport." Not anymore! The Hyundai Santa Fe SE Ultimate redefines the SUV and makes the perfect "all around" family companion. This vehicle includes important services and maintenance records, so you can feel more confident about your buying decision. Beautiful exterior. Clean interior. This Hyundai Santa Fe is so immaculate it is practically new. You'd swear you were at a live concert every time you fire up the premium entertainment package in this vehicle. Enjoy the comfort of knowing this Hyundai Santa Fe comes equipped with a manufacturer's warranty. Most vehicles are forgettable, but then there is the 2018 Hyundai Santa Fe SE Ultimate. This high-performance vehicle provides a memorable experience each time you drive it. The engineers at Hyundai, without question, designed a masterful automobile that provides all of the "essential perks" needed for someone like you. This Hyundai Santa Fe SE Ultimate comes standard with features that are essential in the 21st Century. However, Hyundai decided to take it one step further and add a handful of quintessential options that will undoubtedly add to this vehicle's quality and value. Added comfort with contemporary style is the leather interior to heighten the quality and craftsmanship for the Hyundai Santa Fe You can take the guesswork out of searching for your destination with this Hyundai Santa Fe SE Ultimate's installed Navigation system. The brand new set of tires means that you will be able to drive off the lot without hesitation. You can drive off in the Hyundai Santa Fe SE Ultimate feeling safe and confident with these new tires. This Hyundai Santa Fe SE Ultimate was well-kept and pampered, which is evident by the flawless condition of its paint. This is one of those rare vehicles that comes along for just a brief moment. Amazing wheels help set this Hyundai Santa Fe apart from other vehicles like it.